My website, blog and Facebook page have passed the two-year mark; and as I continue in year three, I look back on what has occurred with grateful thoughts and pride in my work. First, I must thank Bee Gee fans, every single one of the fans, who have shared their Bee Gee stories, angst, heartaches and passions with me. Although I began my story collecting in 1999, social media has afforded me the luxury of connecting with more fans around the world. For this, I am thankful. I am humbled by the sincerity and openness of every one of you. I adore you, Marion, and thank everyone from Kym in California to Turquessa in Uruguay to Beth in New York and Amy in Illinois. Every fan who has written or talked with me has made a dramatic imprint on my psyche. I started the blog with a dream of getting contributions for my book and a big celebrity inside track with Barry Gibb. I remembered hearing about how to get the big interview of my life as I talked with colleagues at a university conference several years ago. Some of the discussion topics included “working your connections”. Well I didn’t have a single connection, and I just jumped in with both feet and had faith the results would eventually come. I don’t really have an analytical side, so I think that worked to my advantage. I remember when I would drive long distances by myself to get to a Bee Gee concert, or the time I sat in Central Park in New York City holding a sign that read “TELL ME YOUR BEE GEE STORY”, and strangers walked up and told me their stories. Go figure. My fears existed on many levels when I began the blog, but I decided to break it down into manageable pieces, sort of the way I break one of those giant chunks of Chocolate bark with almonds in it. I reasoned that fear isn’t a real thing; it’s a mind game, an intangible paralyzing figment of the imagination. I reasoned that my life is too short not to push fear away and take action. So I did, and the stories came in and writing for GSI came and the Facebook messages tumbled in and were heartfelt. Another key thought to connect to Barry was to appeal to his interests. I’ve certainly been there in the past few years. I was long confused by the fact that fans had no clue about how supportive or passionate he and Linda are about he Diabetes Research Institute Foundation. I originally started out to write about the DRIF because I couldn’t believe no one had showcased this Bee Gee charity and fans hadn’t even seen a photo of the DRI itself. How could this be? I thought about how writing their story would certainly win me points with the big man himself. However, the DRIF and every person who interacted with me grabbed me by the heart, and I fell in love with the scientists and the staff and now pray to win the lotto so I can fund their work single-handedly. God gave me the gift of interacting with these marvelously dedicated, funny, talented people. I was thrown a curve ball that I didn’t expect and given a gift of emotional riches that will inspire me for the rest of my life. That alone makes the past two years worth all the effort, not to mention I now know Gary Kleiman, so I am a very lucky girl. Another key idea to connect to our hero was to be where he was. How could I ever get to know him if I wasn’t PRESENT? Thus, the USA Mythology Tour parts 1,2,3,4,5 and 6. Writing for GSI and working social media was spectacular, and the fans gave me their soul-felt stories without hesitation. Now, that’s a whole book in itself, and the hundreds of photos that I still haven’t published on Facebook yet attest to the fact that I have more memories and thoughts about last summer than I ever thought possible. They will continue to be published to show the world emotional moments from the concerts and the marvel that is Barry’s talent. My last thought about being truly connected to Barry involves the willingness to persist. This is tricky because years of protective padding (with multiple layers) around dear Mr. Gibb often involve the one step forward and two steps backward dance. On my end, it requires patience and respect and faith. Most adoring fans will give Barry an easy ride. I’m not an ignorant or rude writer who wants to ask only hard questions. I want to write riveting and fresh articles for fans and ask him the questions fans ask me. Do we demand too much of our hero, fans who want him to please embody their hearts’ desires and every Bee Gee dream they’ve ever felt? Perhaps. I think back to Boston the day of the concert last May when I asked Barry a few questions that he openly and generously responded to, and I remember that we were having quite a nice chat, just me and this rather uncomplicated and not in the least bit intimidating man. I didn’t write about that interaction, and for now I will keep it in my heart. I hope that one day soon we will continue talking. I will go forward and do the work, although he has no reason for me to write about him. He has achieved all he needs to achieve, and he certainly doesn’t need me or anyone else in the press or social media. Maybe the Six Degrees of Kevin Bacon will be on my side. Following a dream isn’t always a piece of cake, but remaining professional and putting myself out there is the easy part for me. What I do know is that I have learned quite a bit by observing this man in his own environment. He has given me key insights I didn’t expect, and I hope the lessons will continue for years to come. And so, we experience year three. Thanks to everyone. How refreshing to read “your story”! After all, you are the means to an end for all the fans. 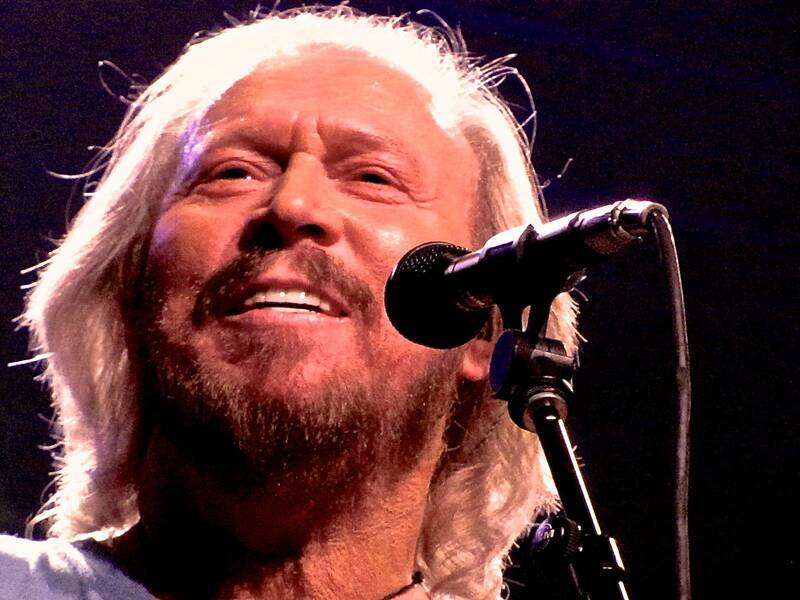 Your passion will be a special gift to all the fans, and a valid insite of the Bee Gees history preserved for Gibb generations to come. Keep up the excellent work Annie, you are much appreciated. Thanks so much, Jan. I will do my best.